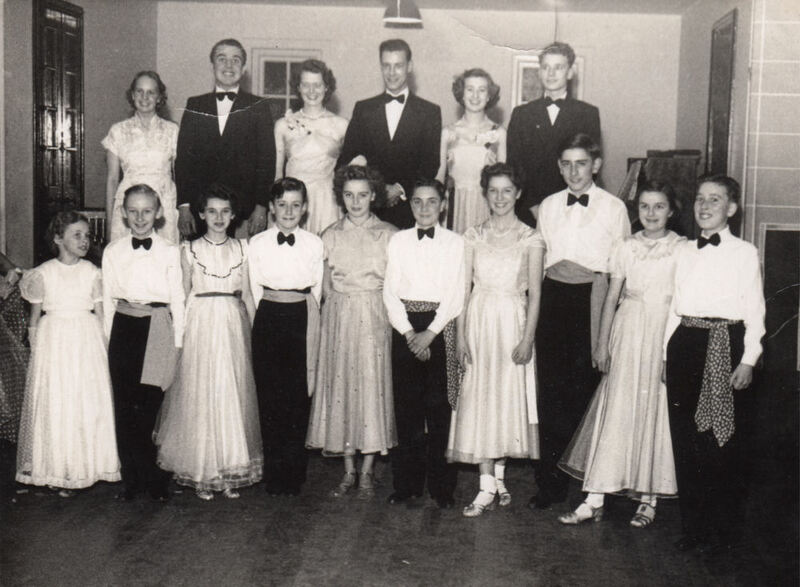 During the 1940’s, 50’s and early 60’s Nellie Bruce known as Madame Bruce and her dance band held a weekly dance at St John’s church hall every Saturday night. 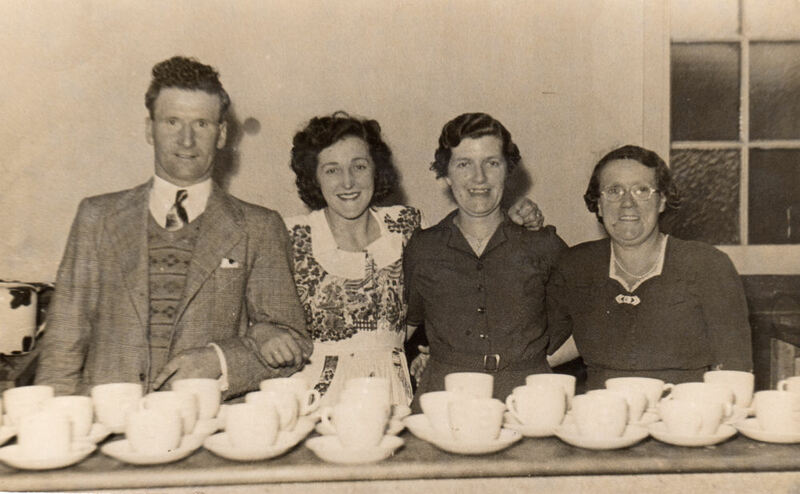 The drummer was a Tom Lawrence who lived in Stafford St. Twice a year Mrs Hurley who lived in the bungalow opposite the church organised a ball. The ‘daffodil ball’ in the spring and the ‘chrysanthemum ball’ in the autumn. During the early 50’s the emcees were Florry Shorthouse and Trevor Genes. They formed a formation dance team of youngsters and we performed our routines at quite a number of dances. The photograph is of this team.